Multi-disciplinary full text database containing more than 4,500 journals, including more than 3604 peer-reviewed titles. 374 mostly full text law titles. US focus, but includes some international. Coverage: mainly from mid 1980's. Large free collection of Australian cases (including tribunals and higher courts), full text law journals, legislation, treaties and other material. Includes the Lawcite case citator. The British and Irish Legal Information Institute (BAILII) provides free access to a comprehensive set of British and Irish primary legal materials. CALI provides online access to 850+ web-based, interactive education lessons all on aspects of US and some aspects of International law. Click here to get registrations instructions you must register before using CALI. Over 20 law journal titles covering a range of legal areas such as international and comparative law. Cambridge Law Reports offers access to some key report series, including the content of the International Law Reports and the ICSID Reports series. CanLII provides free access to primary sources of Canadian Law, including legislation and decisions from federal, provicial, and territorial jurisdictions. CanLII also provides full text legal commentaries. Capital Monitor provides legal news, press releases, ministerial announcements and information services from Parliament, Government and the Courts. Up to date Bills Monitors, Acts Proclamations and Assent sections and lists and links to all Acts during the current year are available for Federal and Victorian jurisdictions. Includes up to date US commentary, cases and legislation in the following subject areas: Tax, Accounting and Audit, Federal Banking, Corporate Governance, Financial and Estate Planning, International Securities & Business Investment Management, Labor and Employment Law, Mergers & Acquisitions, and Federal Securities. Caselaw, legislation, Presidential and Supreme Court Issuances, treaties, Constitutions. Includes decisions of the Supreme Court of the Philippines from 1901 to the present. Extensive Australian taxation database containing commentary, cases and legislation. Search or browse by topic. At the Checkpoint login screen click on “IP Users Sign In” in the top right hand corner of the "OnePass Sign In" window. CIAO publishes international affairs scholarship from 1991+. The database includes working papers from university research institutes, occasional papers series from NGOs, foundation-funded research projects, conference proceedings, policy briefs, full text books and journals, as well as teaching materials such as case studies and course packs of background readings on such topics as terrorism and human rights. This database contains the legislation of the CIS countries: Azerbaijan, Armenia, Belarus, Kazakhstan, Kyrgyz Republic, Moldova, Russia, Tajikistan, Turkmenistan, Uzbekistan, Ukraine. There is also a section on the interstate relations of the CIS countries. On the BRILL Primary Sources Platform. This collection of documents comprises ‘grey literature’ in English. It includes PDF replicas of documents in any discipline of law which addresses climate change, including corporate law, environmental law and human rights law. Literature in the collection originates from a world wide range of organisations and institutions. The collection is edited by the Human Rights Internet in Ottawa. It contains documents from 2015 onwards and is updated annually. Tip: the database works best in Firefox. Click here to get password. You then may need to click on "Login as a different user"
Competition Policy International Journal – This is a semi-annual, peer-reviewed law review on global competition policy. The Antitrust Chronicle – Formerly GCP Magazine, this is an online-only bimonthly magazine that produces papers on topical competitive policy topics. News and Commentary – Provides daily digest of news and commentary related to competition policy. Users can subscribe to receive free daily news and updates from competition authorities and courts around the world. Events – Provides a calendar of upcoming competition policy related events around the world. Australian Annual Reports, Company Prospectuses and company financial information. A global resource containing a range of materials related to the incremental deterioration of democratic rule worldwide ('democratic decay'), including Research Updates, a Concept Index, Events Database, Experts Database, Teaching Materials, and extensive Links. More than 25 000 authoritative sources including full text articles from more than 3000 newspaper titles, Dow Jones and Reuters newswires, the Associated Press, and D&B company profiles. Official Australian Federal Acts, legislative instruments (Rules, Regulations etc), Government Gazettes, Bills etc. Fee Fie Foe Firm is a search engine designed to give legal consumers and professionals better access to law firms and their services. Its focus is on law firm websites and the content provided on them, such as media releases, legal news and updates, case notes, expert legal analysis, newsletters and bulletins. Guide to primary and secondary sources of law for over 170 countries, including overviews of their legal systems. Browse by country or search using keywords. Getting The Deal Through Online provides concise explanations of the most important legal and regulatory matters that arise in business deals and disputes worldwide. These international guides cover law and regulations in 46 practice areas and more than 150 jurisdictions. Material can be searched, or browsed by title, jurisdiction or practice area. A competition law and policy journal and news service, publishing breaking competition news, commentary and analysis, as well as original in-depth reports, interviews and features on antitrust enforcement worldwide. GlobaLex is an open access electronic legal publication dedicated to international, comparative and foreign domestic law research. Published by the Hauser Global Law School Program at NYU School of Law, Globalex provides excellent and up to date overviews of the legal systems of individual countries, guides to legal research and links to primary and secondary material. Browse by country or search using keywords. be searched, or browsed by title, jurisdiction or practice area. A guide to selected Australian Commonwealth and State Government publications located in Australia's National and State Libraries and on the Internet. A historical description of each publication is provided, and location information will enable you to locate resources in each library or online. Publications include Acts, Bills, budget papers, Explanatory Memoranda, Gazettes, government directories, notice papers, Hansard, parliamentary handbooks, parliamentary papers, standing orders, subordinate legislation/Regulation, votes and proceedings/journals. The Collected Courses Online is an encyclopedic collection on international law - it covers more than 330 volumes, containing over 1200 lectures given by prominent legal specialists over a period of 85 years. At least seven new volumes are added every year. All courses are published in the language in which they were delivered, either in English or in French. The database is searchable and can be browsed. Major UK law publisher, provides access to ebooks covering a wide range of law subject areas from 2016. UK law, and some international law coverage and includes some key texts for certain areas of the law. Collection of full text legal 'libraries' which replicate the original documents and are available in fully searchable printable PDF format. HeinOnline includes: the Law Journal Library (containing more than 1,400 law and law-related periodicals from vol 1), US primary material such as the Congressional Record and U.S. Reports back to 1754, Famous World Trialsdating back to the early 1700's, Legal Classics - texts from the 18th & 19th centuries, Treaties and Agreements,English Reports - full Reprint (1220–1867), United Nations Law Collection and Foreign & International Law Resources Database, Women and the Law (Peggy) (books, periodicals and biographies dedicated to women's roles in society and the law). Website featuring news and articles about law in Indonesia. The website has 6 sections: Indonesian Legal News; Indonesian Legal Brief; Indonesian Law Digest; Opinion and Articles; the Clinic where users can post questions; and a Forum. You will need a username and a password to gain access. Website featuring news and articles about law in Indonesia. The website has 5 sections: Awal; Berita; Peraturan; Klinik; Hukumpedia. You will need a username and a password to gain access. These full text e-books are published by Martinus Nijhoff / BRILL from 2006 onwards. They are browseable and searchable. Please note: most of the e-books in this package can also be accessed via the catalogue. This full text database contains over 200 000 House of Commons sessional papers from 1715 to the 2003–04 session, with supplementary material back to 1688. The Incorporated Council of Law Reporting (ICLR) publish law reports of the judicial decisions of the Superior and Appellate Courts in England and Wales. ICLR Online contains the full text of the Law Reports and the Weekly Law Reports. ICLR's Citator+ provides you with authoritative index information for each case, the appellate history and current status. It also includes Daily Law Notes which provide summaries of key cases within 24 hours of judgment. The ICC Dispute Resolution Library provides access to documents from the International Court of Arbitration. It includes the ICC Dispute Resolution Bulletin (formerly ICC International Court of Arbitration Bulletin) from 1990 to date, a complete collection of ICC Dispute Resolution Rules and a wide variety of other publications. UK journal articles, cases, news, reports and online books covering construction law, dispute resolution, medical law, insurance, intellectual property, maritime law, and tax and finance. Includes Lloyd's Law Reports. Indexes over 1,025 legal journals, law reviews, yearbooks, institutes, statutes, bar association publications, university publications, and government publications. With nearly 300 law reviews, it provides international coverage including periodicals from the U.S., Canada, Great Britain, Ireland, Australia and New Zealand. Kanoon is a free database containing up to date full text superior court cases back to the inception of the courts - for example the Supreme Court of India decisions are available from 1902+ The cases have a citator function - both cites and cited by link not only to cases but also to full text Law Commission Reports and legislative provisions cited in cases.The cases can be downloaded as pdf files. The INFORMIT platform contains over 90 multidisciplinary full text, indexing and abstracting databases, with predominantly Australasian and Asia/Pacific content. AGIS is the most comprehensive tool for finding Australasian legal articles. A number of other individual and collected databases are also pertinent to law, including SNIPER (intellectual property), CINCH (criminal justice), WORKLIT (employment and industrial relations), APA-FT (public affairs), the Indigenous Collection, New Zealand Collection, Humanities & Social Sciences Collection and Family & Society Collection. To search across all the databases on INFORMIT select the menu item "Select by Database name" and then "Update Selection". To search AGIS (the most comprehensive tool for finding Australasian legal articles) select the menu option "Select by Database name". All databases will be selected by default so you will need to click on the link "Select None", then select AGIS and then select "Update Selection". You can also browse databases by subject (e.g. arts and humanities or health) or find relevant databases by using keywords. International trade news from the Bureau of National Affairs Inc. The news archive goes back to 1998 and is browsable and searchable. The database includes full text cases. Electronic news service tracking cross-border arbitration between foreign investors and their host governments. The Reporter provides information on the latest lawsuits and policy developments related to nationalisations, privatisations, and other regulatory disputes. ISLG is an online resource for investment treaty law. Includes a subject navigator, which allows you to narrow down to a specific subject, and then look at material in the service relating to it. Also includes an article citator that allows you to look at the application of the specific legal instrument. Investment Claims is a regularly updated collection of materials and analysis used for research in international investment law and arbitration. Investment Claims contains fully searchable arbitration awards and decisions, bilateral investment treaties, multilateral treaties, journal articles, online books, and arbitration laws all linked and cross-referenced by the Oxford Law Citator. Journal Articles - Full Text Multi-disciplinary database which covers agriculture, art, biology, computer science, earth sciences, engineering, environmental studies, humanities, life sciences, medicine, science, social sciences and technology. BarNet JADE (Judgments and Decisions Enhanced) is a free caselaw and legislation database. JADE can be used to search for or browse Australian legislation and court and tribunal decisions, and receive alerts of new decisions and court digests. Jade has digitised copies of the Commonwealth Law Reports (CLRs) from 1903-1952. A basic JADE account is free for anyone. You need to register to use all of JADE's free features. Law students can also receive free access to the enhanced features of JADE Professional from their university email address, by sending an email to editors@jade.io. Includes cases, citators and digests, commentary (such as Family Court Practice), current awareness, forms and precedents, journals (Child and Family Law Quarterly, Family Law journal, International Family Law) and legislation. Full text archives of over 1000 leading academic journals across the humanities, social sciences, and sciences. Includes approx. 60 law titles. Juriglobe provides useful snapshots of the legal systems of the world - presented graphically and divided into civil law, common law, muslim law, customary law and mixed systems. Searchable database incorporating newsletters archive, full text of the cases summarised, and latest US Intellectual Property law developments. Allows for sign up to the weekly IP News. Note: You will need a user name and password to log in. Use your normal University student/staff log in to get to the JurisNotes Username/password information. JustisOne contains the full text of current and historical reported and unreported cases from the UK dating back to 1163 (including State Trials, Times Law Reports and the English Reports) and all UK legislation ever passed (from 1235 to the present). Irish and EU cases (including decisions from the European Court of Human Court of Human Rights 1961+) are also included, as well as the International Law Reports (1902+). Cases on Justis are available as printable PDF images replicating the original print. An international commercial arbitration database of full text primary and secondary materials. The database includes conventions, legislation, institutional rules, model clauses, case law and commentary from leading publications. Includes many full text e-books and arbitration journals. 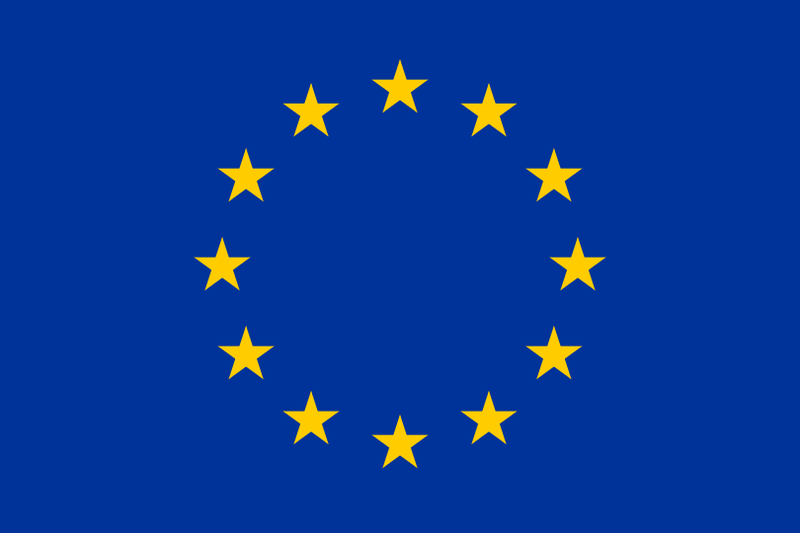 Resource for EU and international competition law research. Includes commentary from expert authors, an extensive collection of primary source materials and a practice tool. Kluwer IP Law provides information on patent, design, trademark and copyright. With 'Smart Charts', case law, news, and access to books including the Manual for the Handling of Applications for Patents, Designs and Trade Marks Throughout the World, and Visser's Annotated European Patent Convention. The Journals section of this platform contains over 20 full text Kluwer Law Journals, which can be browsed, as well as searched individually or together. The journals are also listed in the Library catalogue. Law Cite is a free worldwide case citator which is contributed to by the LIIs, and is a useful way to check whether a particular case has been considered in other jurisdictions. There are currently almost 4 million indexed cases, law reform documents and journal articles included in the system. Searches can be conducted by case citation or parties, legislation or cases considered, or title of an article. Includes case law (the Singapore Law Reports, the Heritage Law Reports and unreported judgments) legislation, treaties, journal articles, commentary and parliamentary reports. This database is on Westlaw UK. Lexis Advance Pacific is a new platform replacing LexisNexis AU. Casebase - case citator service and journal articles on individual cases. US Cases, Legislation, Commentary & Journal Articles Focus on US but also has cases and material from Australia, Canada, UK, the United Nations and other international organisations and the Shephards Citator service. Includes federal public laws and the United States Code Service, as well as state codes, federal and state registers and state constitutions. The database also contains over 900 full text US legal journals and law reviews. This database includes practice notes, checklists, precedents, cases, and access to certain FIDIC, JCT and other internationally used forms. This database includes nearly 100 000 case summaries of judgments.Over 50 000 full text pdf replicas of the original judgments are available from 1990 onwards from the Supreme Court, Court of Appeal and High Court. Linxplus NZ can also be searched by broad topic. Go to Lexis Advance Pacific and from the Browse option at the top of the screen select Publications and search for LinxPlus. Foreign, Comparative and International Law 1600–1926 Commentary service. Combines foreign, comparative, and international titles into a single resource. The International Law component features works of some of the great legal theorists while the Foreign Law component features foreign legal treatises of a variety of countries. The Comparative Law component features online books that compare more than one legal system and includes Ancient, Roman, Jewish Law, and Islamic Law. Foreign Primary Sources 1600–1970 Contains books of historical codes and statutes for northern, western and eastern European countries. Statutory codes are available in English, Dutch, French, German, Irish, and Italian. The individual codes and commentaries are from the law library collections of Harvard, Yale and George Washington University. Legal Treatises 1800–1926 Collection of more than 22,000 legal treatises on US and British law. Contains fully searchable digital images of exact replicas of the original books. Primary Sources 1620–1979 A fully searchable digital archive designed to complement The Making of Modern Law: Legal Treatises. This archive consists of two parts, Part I, 1620-1926 and Part II, 1763-1979 which together provide online access to thousands of volumes of United States codes, constitutional conventions and compilations, and municipal codes, and other resources in American legal history. Trials 1600–1926 Collection of more than 7000 publications describing UK and US trials – from notorious, scandalous and sensational courtroom dramas to cases of great constitutional, historical and precedent-setting value, such as the Dred Scott case, the Scopes "Monkey" Trial and the Amistad Slavery case. Contains fully searchable digital images of exact replicas of the original books. U.S. Supreme Court Records and Briefs 1832–1978 Contains a collection of records and briefs brought before the United States Supreme Court, including transcripts, applications for review, motions, petitions, supplements and other official papers of landmark cases. The collection comprises of more than 350 000 documents from approximately 150 000 cases. The database is searchable by keyword in full-text, as well as by case name, U.S. Reports citation, docket number, author, date, and type of document. Case law coverage includes full text decisions from the Supreme Court, all High Courts, the Federal Court, Privy Council and many tribunals. Coverage is mostly from the inception of each Court. Legislation covered includes bare acts, amending acts, repealed legislation, subordinate legislation and bills from all jurisdictions. Primary material is grouped by topic, and secondary material includes annotated acts and commentary. This database has a login in addition to your University of Melbourne login. From the Manupatra catalogue record click on the link to get the University of Melbourne Manupatra password. Website providing international news, analysis and commentary for intellectual property. Specifically provides full text articles from the Managing IP and Managing Internet IP magazines. The site focus includes trademarks, copyright IP, patents and internet. Contains analytical coverage of constitutional law topics in a comparative context, arranged alphabetically by topic. The encyclopedia articles provide analysis of key cases that have contributed to or advanced constitutional law concepts on a global scale, and key instruments in constitutional law history such as the Magna Carta, the Charter of Medina, and the Cairo Declaration on Human Rights in Islam. The Encyclopedia can be browsed by subject and searched by keywords. It provides navigation between encyclopedia articles and commentaries and instruments from the Oxford Constitutions of the World and the Oxford Law Citator. The updated online edition of the reference work, Encyclopedia of Public International Law. Provides quick comprehensive access to legal, business news, market insight, biographies and public records in a single location. Includes the Lex Mundi 'Doing Business In...' titles for a number of countries. This new service replaces Source OECD. OECD ilibary is a cross-searchable online database containing over 5000 e-books, 5000 MS Excel spreadsheets, 400 statistical datasets and 2500 working papers. Oxford Bibliographies combines the features of an annotated bibliography and a high-level encyclopedia to provide authoritative research guides on a range of subject areas such as criminology, international law and international relations. Oxford Competition Law provides an invaluable suite of competition analysis, including Oxford University Press's key commentaries in EU competition law, fully linked with national case reports and source material. The service comprises enhanced online versions of Faull & Nikpay: The EC Law of Competition and Whish & Bailey on Competition Law, and substantive updates to Bellamy & Child: European Union Law of Competition. OCL includes full reports of cases decided from 2008 onwards, and decisions from 2004 onwards will be gradually added to increase the size of the archive. Oxford Constitutions of the World contains regularly updated, fully-translated English-language versions of all of the world's constitutions. The constitutions are accompanied by individual commentaries and supplementary materials, including foundation documents, historical constitutions, and amendment Acts/laws, and a collection of scholarly monographs. Oxford Handbooks Online brings together the world's leading scholars to write review essays that evaluate the current thinking on a field or topic, and make an original argument about the future direction of the debate. 13 law titles that offer over 600 articles authored by leading legal scholars. Avalaible via the Oxford Public International Law platform, Oxford Historical Treaties reproduces the full text of the Consolidated Treaty Series (also known as Parry's Treaty Series), a comprehensive collection of treaties of all nations concluded from 1648 through 1919. Full text Journal Articles Over 200 full text academic and research journals covering a broad range of subject areas, including 22 law titles. Oxford Legal Research Library (OLRL) provides integrated access across collections of key law titles covering international commercial arbitration and international commercial law. Oxford Reference provides quality, up-to-date reference content on a range of subject areas such as law. It contains reference materials such as dictionaries, encyclopedias, guide books, as well as the Oxford Companion to the High Court of Australia. Oxford Reports on International Law brings together decisions on public international law from international law courts, domestic courts, and ad hoc tribunals. The database includes decisions from international courts of general jurisdiction, international human rights courts and international criminal courts, as well as international decisions in domestic courts. The decisions are accompanied by expert analysis and cross-case navigation via the Oxford Law Citator. New cases are added daily. Over 400 e-books on law from Oxford University Press. Oxford Scholarly Authorities on International Law contains full-text online editions of market-leading reference works and treatises published by Oxford University Press. The books are fully searchable and linked by the Oxford Law Citator. PaRR (Policy and Regulatory Report) delivers global intelligence, analysis and proprietary data on competition law, IP and trade law, and sector-specific regulatory change. PKU is a bilingual English and Chinese legal database. The database includes a large database of Chinese Case law and all national legislation and administrative regulations promulgated by the State Council from 1949 onwards. It also includes many administrative rules promulgated by Agencies, and important local regulations. Legal news is provided, journal content is available mostly in Mandarin. Digital resource concerning the history of copyright in five key jurisdictions including France, Germany, Italy, the UK and the US, for the period before 1900. Dalloz.fr is a comprehensive French daily legal news service, with a database of nearly a thousand legal news sources, covering legislative and judicial news and reports. These can be searched by key words and browsed by themes, or you can view all the news for a specific date (see Accès à un fonds documentaire > Dalloz Actualité). Please note: a password is required to access this database, click here to get your password. RefWorks is a website based application that organises, sorts and stores your reference citations. Citations can be added to your RefWorks database, which can then insert them into your MS Word document. The UNHCR's Refworld legal collection has been designed primarily as a tool for disseminating and promoting (international) law relating to refugees, asylum seekers, stateless persons and other persons of concern to UNHCR.Included in the collection is a unique jurisprudence collection, covering more than 40 national jurisdictions, and a vast amount of international judgments and decisions from the United Nations, the European Court of Human Rights and other international and regional courts. A comprehensive collection of international instruments relating to refugees and human rights, with the most recent lists of States Parties to key conventions, is also available. The legislation collection, contains national and international legislation relevant in assessing asylum claims and is the largest collection of its kind. Refworld contains many special agreements, such as memorandum of understanding, host-country agreements and voluntary repatriation agreements. More than 2,000 articles in 159 books and manuals written by experts for the Foundation. Includes a range of historical English legal material dating from 1066. Database covers important historical documents including primary source documents, influential digests, abridgments and encyclopedias. Includes Ames Foundation publications. Cases include the SCC reports, many historic and current state reports, Privy Council appeal reports (such as the Indian Appeals 1836-1949), unreported judgments from the Supreme Court and all 30 State High Courts, and Tribunals and Commission decisions. Statutes include Central Acts, Ordinances, Rules, Regulations, Orders, Schemes, Notifications, Circulars and Bills. For detailed information on all content, see SCC Online Data Coverage. To login – select IP Access and enter your unimelb email address. Note: the first time you login, you will be asked to register your email address. You will not be asked to do this again, and no password is required. Registered users can use the search facility to access over 230,000 abstracts and 192,000 full text forthcoming articles and working papers. To register, click on SSR User HQ > in the new members registration box , enter your email address and press submit > you will receive an email with your username and password. Law School Faculty members receive access to the LSN alerting service. State Papers Online is a database of English government documents originating from the 16th and 17th centuries. The collection includes information on every facet of English government, including law and order, social and economic affairs, religious policy and crown possessions. Please note: This service has now been decommissioned and has been replaced by Checkpoint AU. This service provides access to up-to-date news and analysis on US Federal and State taxation and International tax news on over 180 different nations. Specifically, the service provides access to Tax Notes Today, State Tax Today (US), Worldwide Tax Daily, Complete Federal Research Library (collections of over 50 web based databases housing tax documents) and the Worldwide Tax Treaties. Searchable legislation for Australian jurisdictions. It also includes alerting service on legislation developments, bills, EMs and repealed legislation. Point in time for some law subjects. Alerts can be set up by users using their current University of Melbourne email address. Searchable database of digitised issues of The Times Newspaper. Coverage is from the 1785 - 1985. Searchable commentary on International Trade Law. Provides a number of search options including search by subject or by words and phrases. Also includes annotated instruments and agreements, as well as an article citator. Browse a variety of legal and regulatory documents including laws, regulations, contracts, guides, tribunal/court awards by country or subject category, search or browse the OMEGID (Oil, Gas, Energy, Mining ,Infrastructure, Investment list serv.) Alerts are available for the TDM Journal, advance publications and news items. Browse or search across articles from 2004 – present. Major legal publications issued by the United Nations. Includes League of Nations materials, UN Treaty series, various yearbooks, law reports, UN legislation and other material dating from 1920 to the present. ODS covers all types of official United Nations documentation. No password required. Full Text Full-text of the United Nations Treaty series and other UN and League of Nations documents. Includes full-text, up-to-date Vicorian legislation. For off-campus access click here. Online searchable database of English translations of over 2,500 Vietnamese laws covering a wide range of subject areas relevant to foreign investment and beyond. Click here to get password. You then may need to click on "Login as a different user". W&L CLJC is a journal article index, providing access to the content of over 1,600 law journals from all jurisdictions. The index is searchable by eg: keyword, and browsable by individual journal titles. Please note - as of May 2011 this index is no longer updated. Westlaw is a US based collection of full text databases. Coverage includes US, UK & Canadian case law, US legislation, more than 700 law reviews, selected international materials and newspapers form most parts of the world including Australia. Decisions from Carswell Law report Series. Canada Law Book Report Series and decisions from the Supreme Court of Canada and Privy Council. Annotated legislation and concordances of legislation. Index to Canadian Legal Literature with links to full text. Consolidated legislation, going back to 1267, updated daily. Legal Journals Index - a comprehensive research tool for finding UK and EU legal journal articles. More than 110 full text journals. Trade law, GATT/WTO agreements, Panel/Appellate Body reports, and some journal articles on various WTO issues. World Legal Information Institute. Free access to worldwide legal resources.